The Lords of Summer Tour was a concert tour by American heavy metal band Metallica in support of their single Lords of Summer , which was released on March 19, 2014. Colisée Pepsi was a multi-purpose arena located in Quebec City, Quebec. It was the home of the Quebec Nordiques from 1972 to 1995, during their time in the World Hockey Association and National Hockey League. 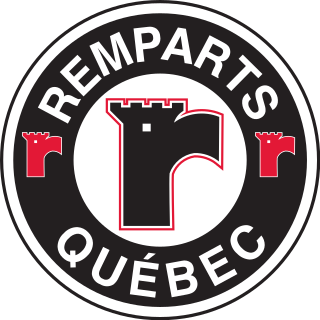 It was also the home of the Quebec Remparts of the Quebec Major Junior Hockey League from 1999 until its closing in 2015. The Colisée hosted the Quebec International Pee-Wee Hockey Tournament annually in February until its closing in 2015, with almost 2,300 young hockey players from 16 countries participating annually. The Pavillon de l'éducation physique et des sports de l'Université Laval, usually called PEPS for short, is a sports complex located in Quebec City, Quebec, on the Université Laval campus. PEPS opened in 1970 and includes an outdoor stadium, an indoor stadium, two indoor swimming pools, basketball and tennis courts, a fitness centre, and two hockey arenas that can be combined into one for long track speed skating. The Tallinn Song Festival Grounds are the grounds on which the Estonian Song Festival is held every five years. The Videotron Centre is an indoor arena in Quebec City, Quebec, Canada. The 18,259-seat arena replaced Colisée Pepsi as Quebec City's primary venue for indoor events. The new arena is primarily used for ice hockey, serving as the home arena of the Quebec Remparts of the QMJHL and has been prospected as a venue for a new or re-located National Hockey League team in Quebec City, and as part of a Winter Olympic Games bid. The building opened on September 8, 2015. It is now the seventh-largest indoor arena in Canada. ExpoCité is a multi-site entertainment complex located in the borough of La Cité-Limoilou, in downtown Quebec City. This is also the name of the corporation authorized by the City of Quebec to administer the site. ExpoCité was best known for Expo Québec an annual 12-day exhibition held in August but folded in 2016. The Salon de l'Auto de Québec is held there each March. All the Hits Tour was a concert tour by British musician Elton John that took place in North America, Europe and Oceania in 2015. The Maroon V Tour was the fifth worldwide concert tour by American band Maroon 5 in support of their fifth album V. The tour began on February 16, 2015, in Dallas and took place in North America, Europe, Africa, Asia, Oceania and South America. It ended on September 19, 2017 in Lima, Peru. The Life Amplified World Tour was the fourteenth headlining concert tour by American country music singer Brad Paisley. It began on May 19, 2016, in Wheatland, California and concluded on February 18, 2017, in Verona, New York, The tour played through amphitheaters and festivals across the United States and Canada. The Who Tour 2017 was a worldwide concert tour by British band the Who. ↑ "2015-09-16 Quebec City, Canada - Metallica". metallica.com. Retrieved 2017-02-19.